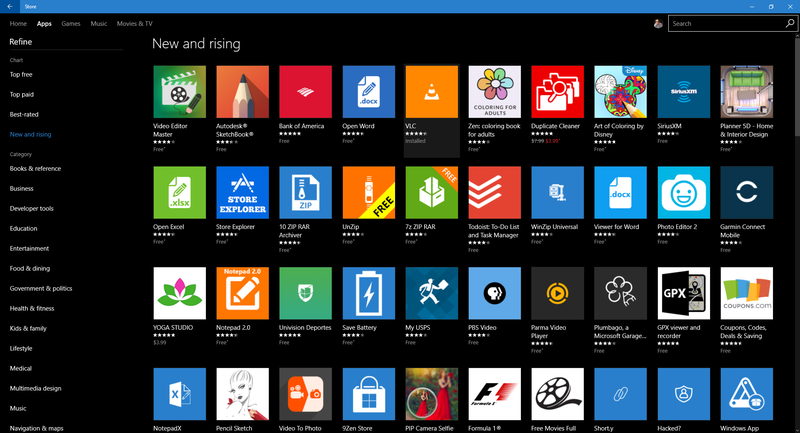 The Windows Store has an app problem, which the "new and rising" section makes painfully clear. The Windows Store for Windows 10 PCs and smartphones has a “new” problem. Microsoft MVP and developer Matt Lacey spent four months tracking the Windows Store’s “New and rising” apps section for both device types. His findings don’t look good for the progress and growth of the Windows Store, as reported by Neowin. Lacey said 62 of the top 72 apps in that section were exactly the same on the first day of the tracking period as they were on the last. 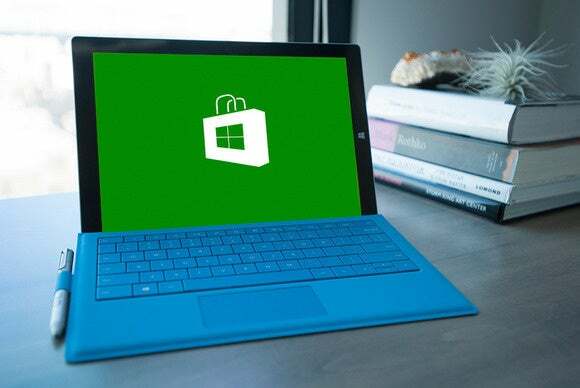 The Windows Store’s new and rising section for PCs. Lacey tracked the top 72 apps in the Windows Store’s “new and rising” section every day between March 1 and June 30 (more than 120 days). Then he performed some basic comparisons to assess what was going on in the store. As mentioned above, the most surprising (or not) finding was that the app selection in “new and rising” was basically static over that four-month period. But here are a few more interesting findings. Lacey found that the Windows Store’s new and rising section had an average of 1.66 new apps per day, and on 22 days there were no new entries to the category at all. Over Lacey’s tracking period, 202 new entries hit the new and rising chart. Apps that entered into the top 72 listings in the category—aka the first page—sat there for an average of 39.35 days, according to Lacey. But 65 apps were re-entries that entered the new and rising section, left the chart, and then returned. Lacey says some apps re-entered the chart three or four times. Finally, only 10 apps total that were in the new and rising chart on March 1 were not there on June 30. Why this matters: Without hard data comparing the Windows Store to the equivalent charts for Android and iOS, it’s hard to say how poorly (or not) Microsoft’s app store is doing. It’s also possible this is just a case of bad curation on Microsoft’s part, and that the “new and rising” section is not an accurate representation of the store’s offerings in this area. Whatever the case, there’s no question that the Windows Store doesn’t have the same breadth of selection you see on Android and iOS. The real takeaway here is that when you want new apps for your Windows 10 device, the “new and rising” section may be the last place you want to look.